Lifting of nuclear sanctions against Iran by the United States is an remarkable moment in international diplomacy. Until last year, it was unimaginable that there would be a peaceful solution to the Iranian nuclear crisis.Even when a deal was reached in July, critics continued to attack the efforts, questioning the operating challenges of the accord and Iran’s dubious nuclear record. But Iran proved the critics wrong and acted to rein in its nuclear programme. It decommissioned its enrichment centrifuges, removed the core of its heavy-water reactor and shipped out most of its low-enriched uranium stockpile — all in months. 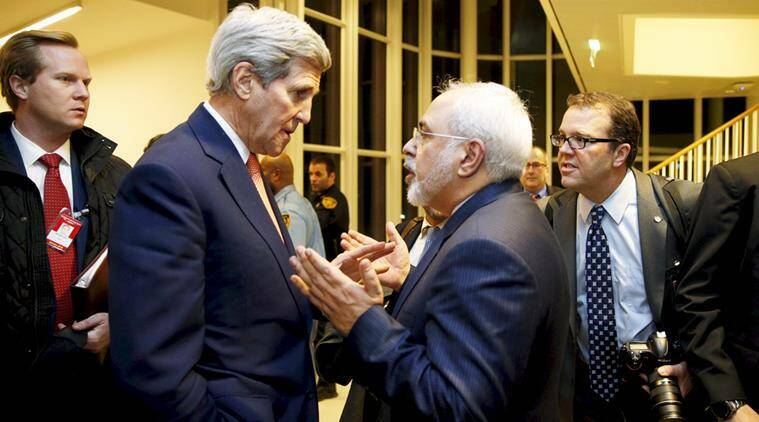 On Saturday, the International Atomic Energy Agency confirmed Iran had complied with its commitments. Within hours, nuclear sanctions were removed, signalling Iran’s reintegration with the global economy.The implementation of the deal demonstrates the willingness of both the U.S. and Iran to move past their history of hostilities and begin a new future of cooperation. U.S. President Barack Obama and his Iranian counterpart Hassan Rouhani deserve credit for their visionary determination. It was not easy to effect structural changes in the thinking of their respective foreign policy establishments and chart a new course of constructive engagement. Both faced criticism at home. There were regional challenges as well, such as the steadfast opposition from Israel. Still they stuck to the path of diplomacy which brought new hopes to a region that is otherwise tormented by conflicts. Over the past few months, U.S.-Iran ties have substantially improved. Though both sides maintain that cooperation is limited to the nuclear deal, in actuality it is much broader. Tehran and Washington are engaged in Syria and Iraq. They share common interests in Afghanistan. The quick release of American sailors whose patrol boats drifted into Iranian waters signalled the shift in ties. The prisoner swap deal, announced just hours before the sanctions were lifted and under which Iran released four Americans and the U.S. seven Iranians, is another indicator. But the question is whether these changes are sustainable and, if so, what effects they can have on the troubled West Asian geopolitics. In Iran there appears to be a consensus on enhanced engagement with the West. Despite the anti-American public posturing, often from the hard-line quarters of the establishment, Iran’s political elite remains largely supportive of President Rouhani’s moves. But it’s not the case in the U.S., where the Republican front runners for the presidential election are highly critical of the deal. It is not clear what could happen to the Iran-U.S. détente if a Republican is elected to the White House. But if both nations overcome these challenges and sustain the momentum, it can transform the region for the better in the long run. India should take the cue from the deal. A peaceful, stable Iran is vital for its interests, particularly for energy security and connectivity. New Delhi should get Tehran on board, again. In terms of economy, the visit by foreign nationals to witness the XIX common wealth games in India amounted to ?